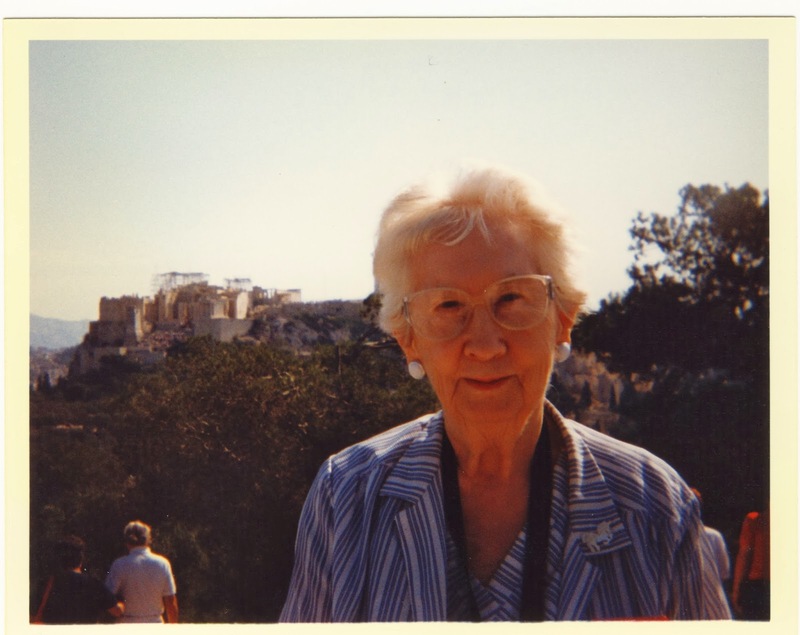 Mum in Athens, Greece. Photographer, M. Diane Rogers. My mum was a great one for keeping useful things (as was my dad) - cottage cheese containers, plastic bags, newspaper and magazine clippings - lots of clippings!, recipe cards, school papers, books, of course, with a few 'important' papers mixed in. Since Mum and I always had a lot of the same interests, I've found it hard to get rid of anything much, although the cottage cheese containers are long gone. I've been scanning and transcribing things, but it's a slow process. That's one reason I wanted to do the 52 Ancestors Challenge. Today what I have may interest some non-gen friends since it's a Vancouver General Hospital (VGH) pamphlet from the 1940s. It was with some baby related things - that baby was me! I think it must have been given to my mother in preparation for my birth. 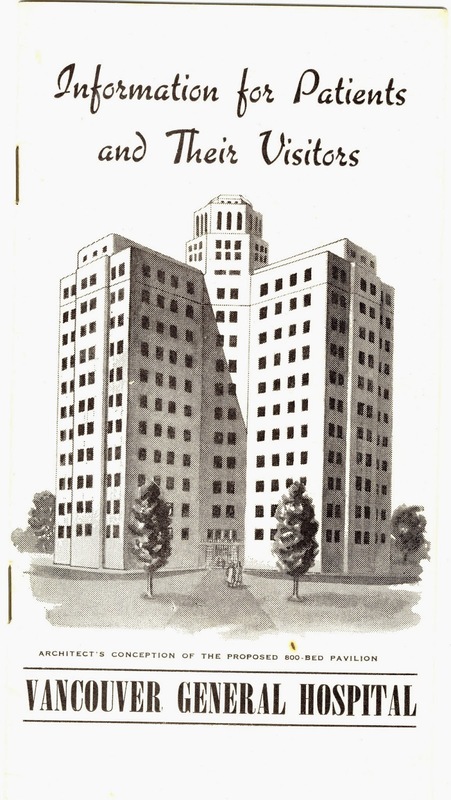 "Architect's Conception of the Proposed 800-Bed Pavilion." Vancouver, British Columbia, Canada. Also discussed is the British Columbia Hospital Insurance Service which then provided to subscribers in good standing "Complete hospital maternity service, with no conditions or waiting period." That was only for public ward beds. (The difference for private or semi-private accommodation was to be billed.) I reemember my mother said she was in a ward because there were no private rooms when I was born. She thought she'd have been very bored all on her own as then after a birth women stayed in 10 days or so. 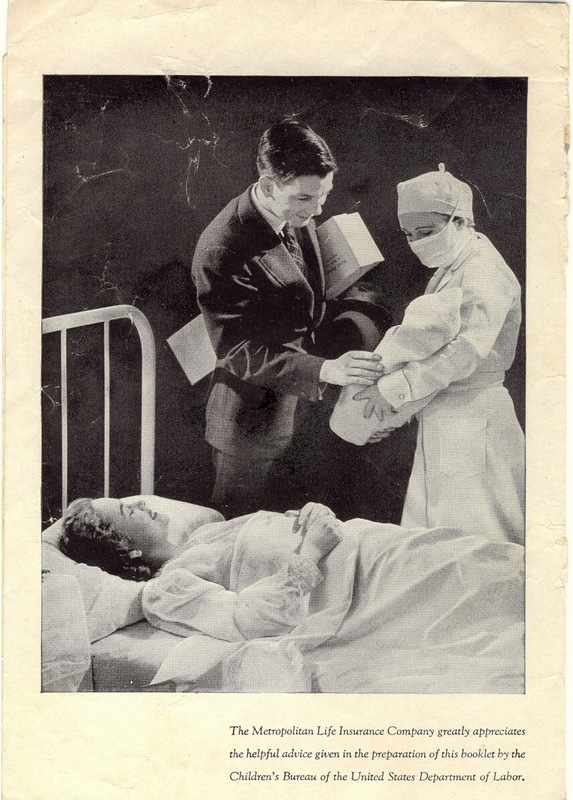 According to the booklet, radios were available but their use 'controlled', or one could bring their own, provided the Nurse-In-Charge approved and the Hospital Electrician passed it. A telephone could be installed in a room for 10 cents a day; or an operator would place a call for a patient. And mail, including parcels, could be received at the hospital. Of interest to me is the mention of telegrams. A nurse would assist in sending these. Since my maternal grandparents were then in Hamilton, Ontario, I'm guessing there was at least one telegram sent announcing my arrival. Maybe two as it would be likely they'd want to let family in Nottawa know as well. Visiting for maternity patients was restricted to the husband and the mother of the maternity patient for the first 5 days. (Since Na, my mum's mum, wasn't here, I wonder if Grandma Rogers snuck in to see Mum and me?) Even after five days, only two visitors at a time were allowed during visiting hours - and no children. I thought some who live in Vancouver might like to see this map of the hospital from the booklet. There are some historical photographs of VGH buildings including the Heather Pavilion on Flickr and here is the link to the Heather Heritage Society's website. You will see the Maternity building on the map. Now I hope someone can tell me when Heather Pavilion became the maternity area. 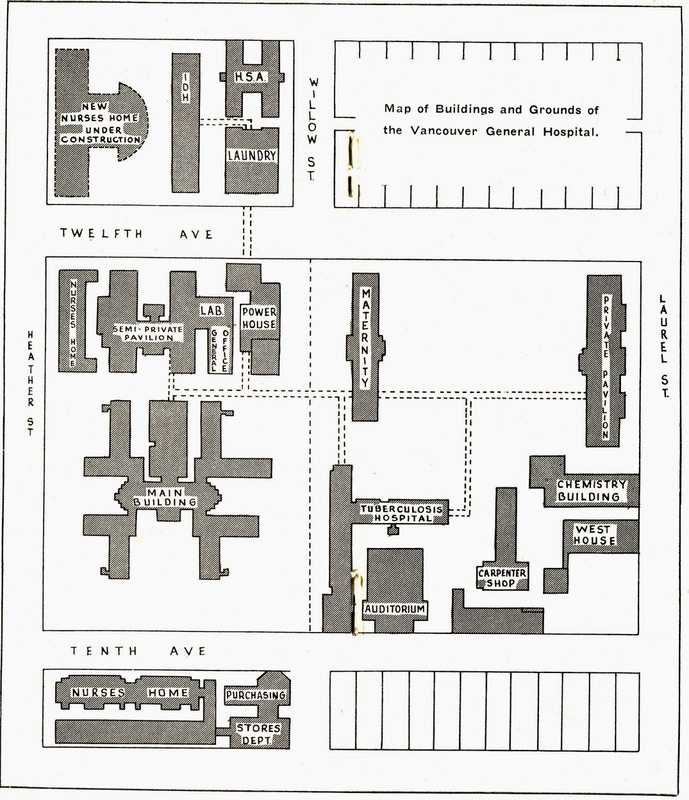 Map of Buildings and Grounds, centre fold, Vancouver General Hospital pamphlet; no date; private collection. Your Baby, Metropolitan Life Insurance Company, Canadian Head Office: Ottawa; no date (pamphlet may be missing title page); private collection. A very different image from today's expectations! Labels: childbirth, Vancouver General Hospital, VGH Vancouver, Willow Pavilion Vancouver. This is a great find Dian. I will share it with my Facebook group that is about growing up in East Vancouver. Well if you would like to join us on the page I can add you in...I think. I am one of the administrators but since we made the page "secret" to stop Facebook from advertising us we don't know how to add anyone lol. I think I can do it by email address from your Facebook account.